Dr. Gerald Bull assassinated 21 years ago: Was it the Israelis? Americans? On the evening of March 22, 1990, Dr. Gerald Bull got out of a car in Brussels, Belgium and headed back to his apartment. Gerald Bull got out of the elevator and walked toward his apartment. From the shadows another shadow stepped, holding a silenced pistol. Three shots were fired into the back of Gerald Bull and, after he fell, two more into his head for good measure. Gerald Bull was dead. “Super Gun” Inventor Felled By Assassins – Were They American, Israeli or Others? 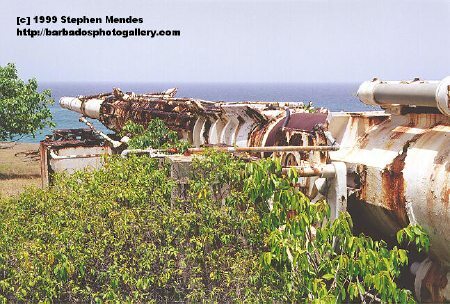 In the mid-sixties, the Government of Barbados allowed the Space Research Corporation (SRC) to use Barbados as a base for it’s High Altitude Research Project (HARP) in exchange for the installation and maintenance of an advanced Radar system at the Seawell Airport (now the Grantley Adams International Airport). Officially, the purpose of HARP was to develop an alternative method to launching payloads into space. The scientists were exploring the possibility of using large guns to fire objects into space… instead of the conventional method of using rockets. 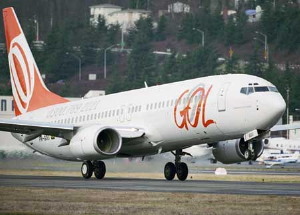 How much is Barbados paying GOL Airlines to fly to the island? Whenever thinking Bajans see that “Clears the air…” headline, the red lights and alarm bells should start going off. “Clearing the air” is usually a smokescreen and once you realise that you find that the air is usually anything but “clear”. Minister Sealy was responding to opposition charges that the DLP paid GOL some US$200,000 in January to fly half empty airplanes from Brazil to Barbados. Although Sealy denies the amount, he truthfully says that Barbados has guaranteed revenue for GOL Airlines and that it is hoped that this “investment” will pay off in the long run. Okay, I can see this type of an arrangement being a legitimate strategy to open up new markets, but we are uneasy about the ability of our government and bureaucrats to properly make cost-benefit decisions. As Minister Sealy himself points out, the BLP government paid Air India US$300,000 to make one disastrous flight to Barbados and also arranged the $10 million dollar debacle involving hiring the Carnival Destiny for Cricket World Cup. Our government is non-transparent and with the previous disasters we simply don’t trust Minister Sealy or anyone anymore to tell us the truth. Minister Sealy is still hiding the truth because he only denied the alleged amounts but didn’t state the facts. But really… what can you expect from a government that promised to implement Freedom of Information legislation within 100 days of being elected: three years ago. Minister Sealy: you and your DLP government lied to us before. Why should we believe you now?